We’re pleased to announce the full and final lineup for the music programme at A COLOSSAL WEEKEND. 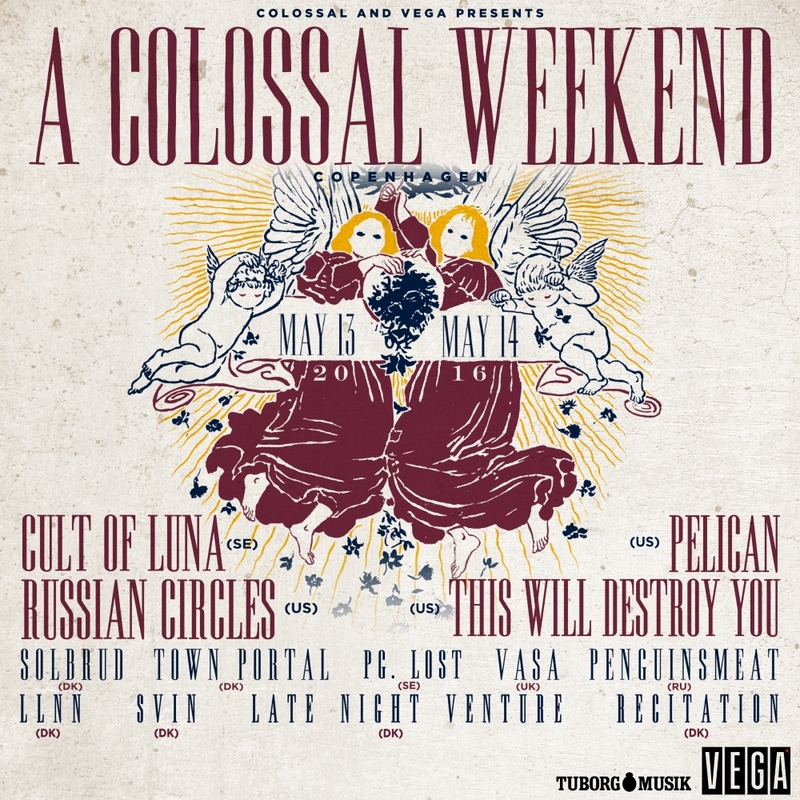 Please welcome, Russian Circles (US), This Will Destroy You (US), Solbrud (DK), pg.lost (SE) Town Portal (DK), SVIN (DK) and (Recitation) to the lineup. With the latest additions we’re confident that we have managed to create the ultimate lineup for fans of post-metal, post-rock and other genres associated with those mentioned. We think it is the perfect mix of established, influental acts and newcomers on the scene.